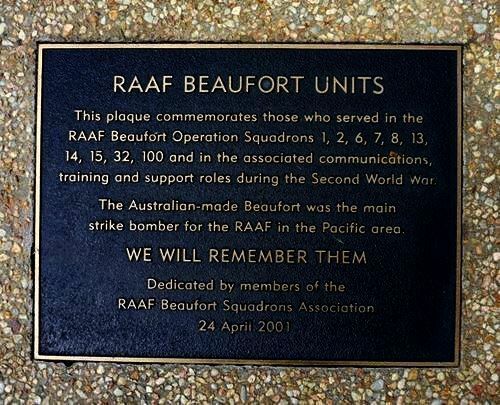 A plaque commemorates the personnel who served in 1, 2, 6, 7, 8, 13, 14, 15, 32, and 100 Squadrons and associated support units during World War Two. training and support roles during the Second World War . strike bomber for the RAAF in the Pacific area.